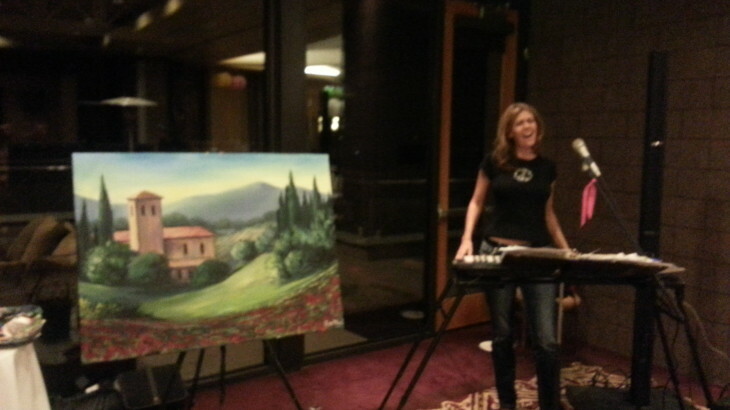 Most of you may know that I have been doing live painting for about the last year while my very talented vocal artist friend, Tina Vale sings. We do small gigs in local restaurants and bars and have even have done a fundraising event up in the North Valley. We always get great feedback and people have mentioned wanting to hire us so we have decided to take this exciting new idea to the next level! A good friend of ours, Pam, has put together a great business plan and we are so excited about what the future holds! This is such a unique idea to turn any event from ordinary into extraordinary!! We will be putting together different package ideas for any type of venue, from weddings and holiday parties to anniversaries and birthdays! 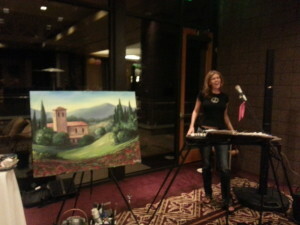 She sings for about 2 to 3 hours while I paint a portrait or landscape. For example if it is a wedding reception I would probably be painting a portrait of the bride and groom. 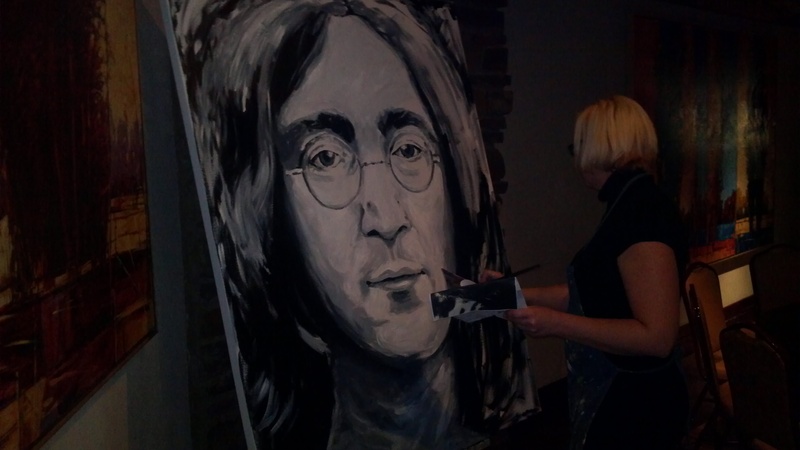 So not only do you get to enjoy Tina’s beautiful voice, but you get to take home a one of a kind custom painting! Here is a few images of some of the events we have done.